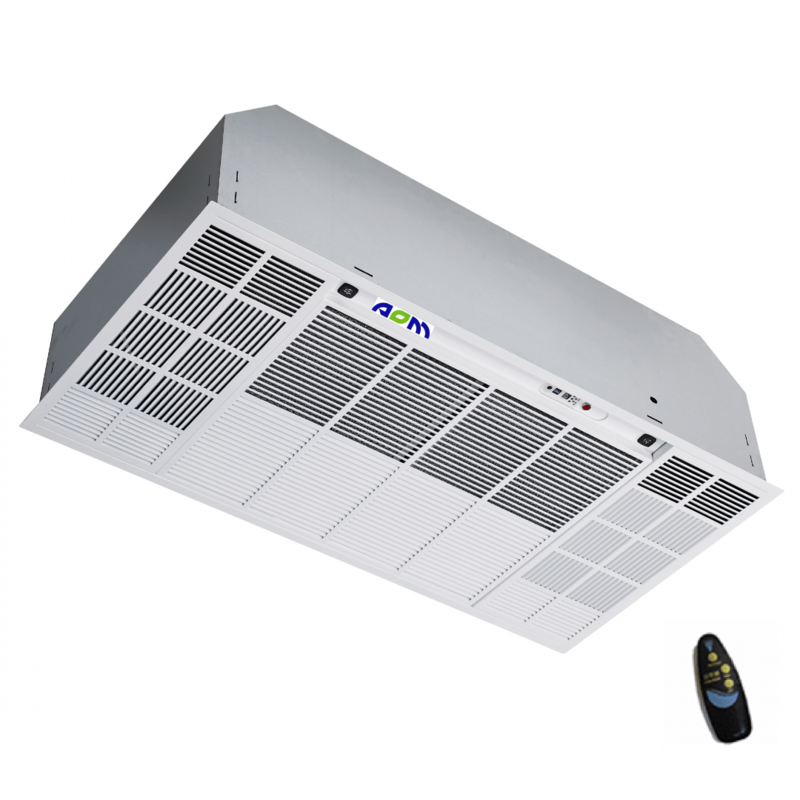 The Gelair Air Disinfection Unit offers an economical and convenient means to control mold, bacteria, and viruses in small to medium-sized areas. Gelair Air Disinfection Unit contains a specially formulated gel matrix placed in a fan dispenser, allowing for the consistent release of specific concentrations of top quality tea tree oil vapor. Tea tree oil is a broad spectrum antimicrobial and antifungal agent. 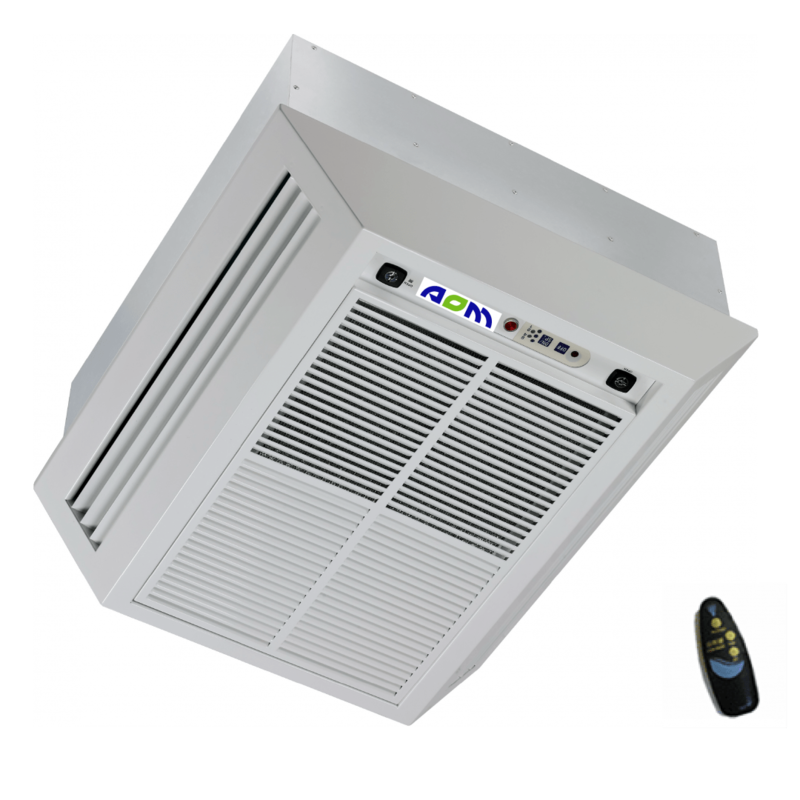 Considering its size and utility, the device offers an economical and convenient means to control mold, bacteria, and viruses in small to medium-sized areas. The fan dispenser improves the diffusion of the tea tree oil vapors in indoor environments with little circulation or stagnant air. 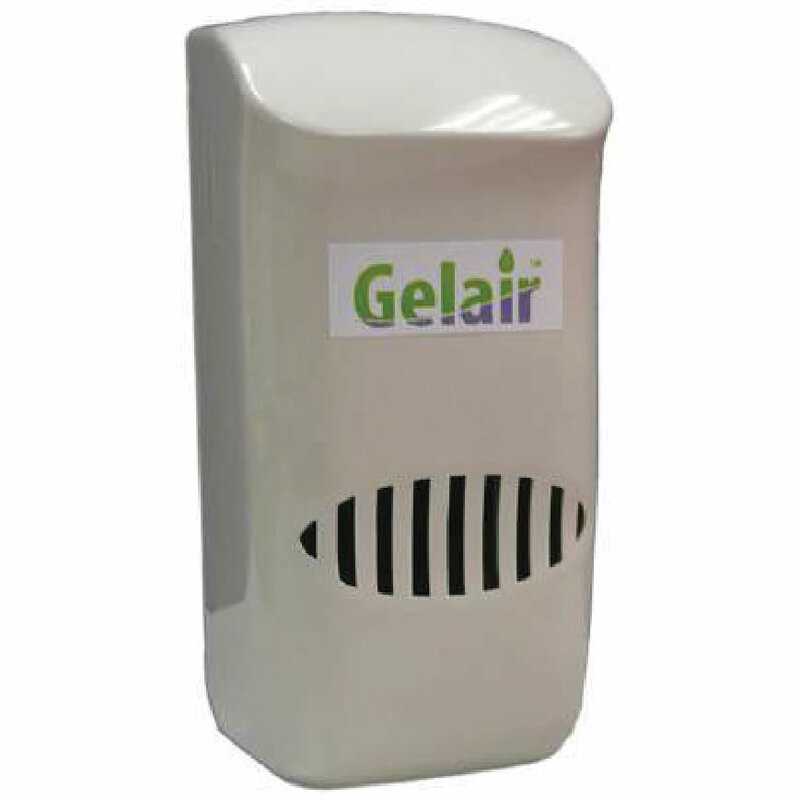 The Gelair block, also used for treatment applications in air-conditioning systems of buildings and offices, is being portioned into a smaller size for the Air Disinfection Unit. With the consistent release of vapor from these blocks, the environment is therefore ensured of adequate disinfection. 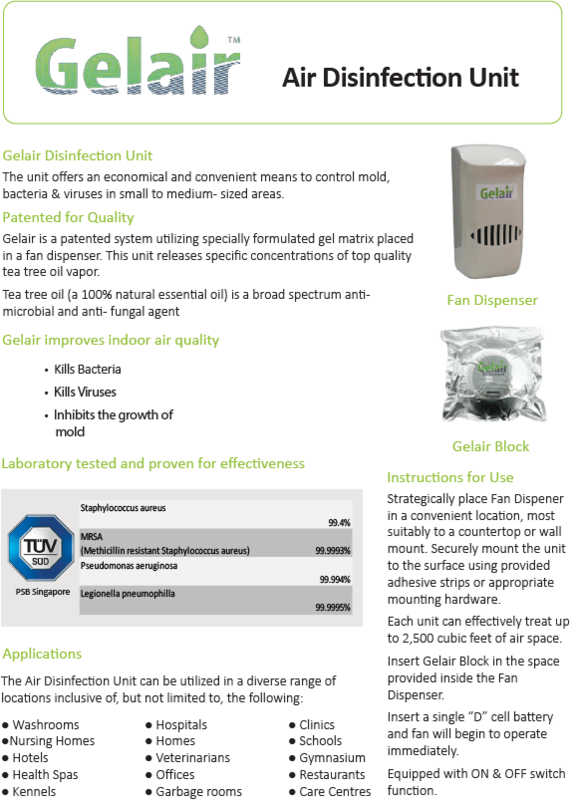 Gelair blocks have been tested in one of Singapore’s accredited laboratories to exhibit effective treatment against mold, viruses, and bacteria. Some common strains of pathogens include Staphylococcus Aureus and Methicillin-Resistant Staphylococcus Aureus (MRSA).